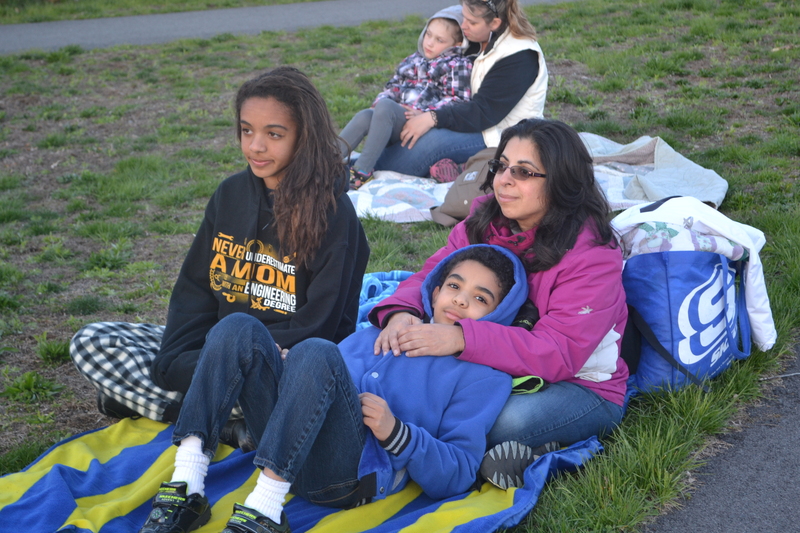 In celebration of exploring space, related to this year’s book selection, The Martian by Andy Weir, Malden Reads held an event called “Sunset, Storytelling, & Stargazing” at Waitt’s Mount Park in Malden on Saturday, April 30. 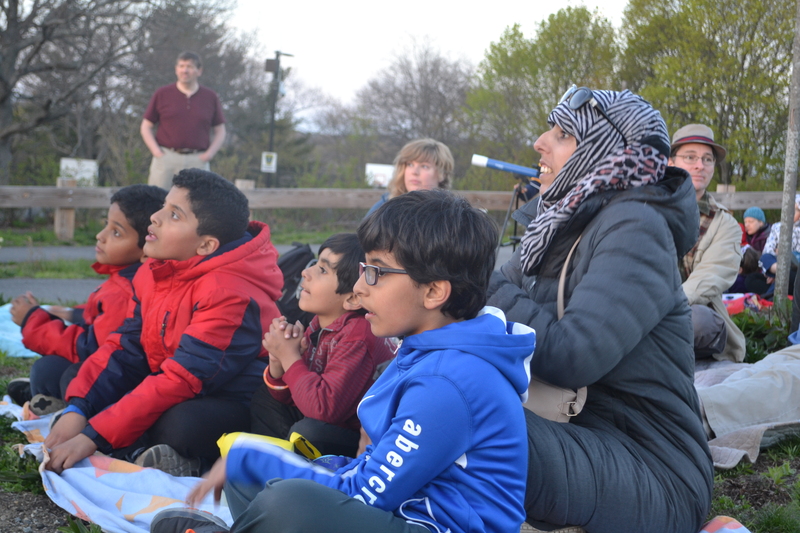 Well over 100 attendees, representing the incredibly diverse population of Malden, trekked to the top of Waitt’s Mount to watch the sunset, listen to stories, and look at Jupiter, its moons, a star cluster, and more through the help of six different telescopes and accompanying guides. We certainly feel that is true, and we have so many individuals and organizations to thank for a truly successful evening that, besides stargazing, celebrated sharing stories and coming together as a community. 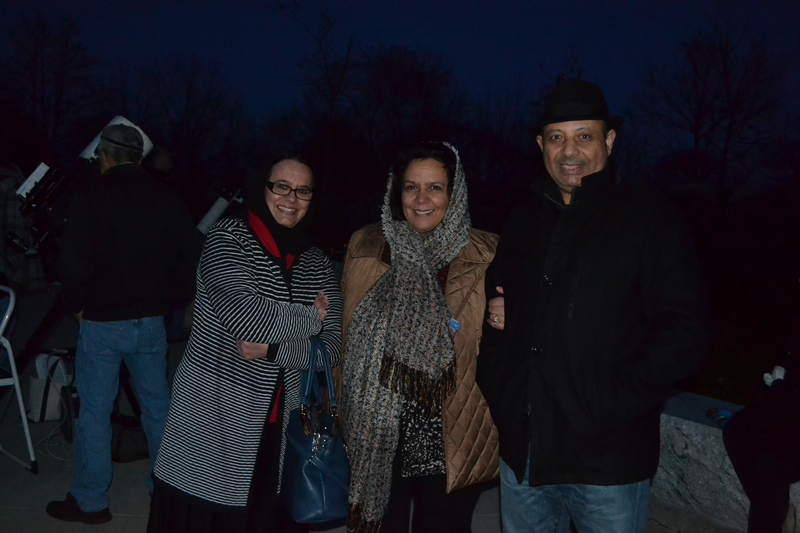 We thank everyone who came to our event, for connecting with the community, nature, and the stars. If you have additional pictures from Saturday, please email them to us (maldenreads@gmail.com) so we can post them to social media and share them with the community. Malden Reads would like to thank the Office of Mayor Gary Christenson for his support and the City of Malden for their support and assistance – specifically, Bob Rotondi from the Parks Department, and the Department of Public Works. Captain Cronin of the Malden Police Department was on detail that evening and gave a hand wherever help was needed. City Councilor Ryan O’Malley (Ward 4) hosted a clean-up at Waitt’s Mount the week prior to the event and helped ensure the event ran smoothly. This event was supported in part by a grant from the Malden Cultural Council, a local agency which is supported by the Massachusetts Cultural Council, a state agency. Grants are awarded through a competitive process. This grant signifies that Malden Reads provides a high level of public value through its programs and community service. Malden Reads is supported by two institutions in Malden: the Malden Public Library and MATV, Malden’s Media Center. 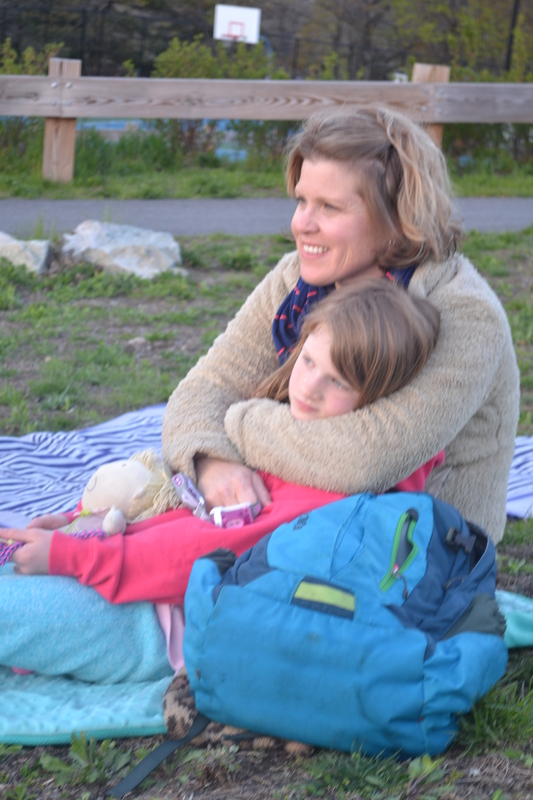 The Malden Public Library hosted a pre-stargazing event with astronomer/educator Noreen Grice, who is from Malden, leading children in creating constellation books. MATV took a lead role in organizing this event and provided sound equipment for use by the storyteller. Malden Transportation provided a van shuttle for participants as well as a driver, and their tremendous support and commitment to community was instrumental to the event’s success. 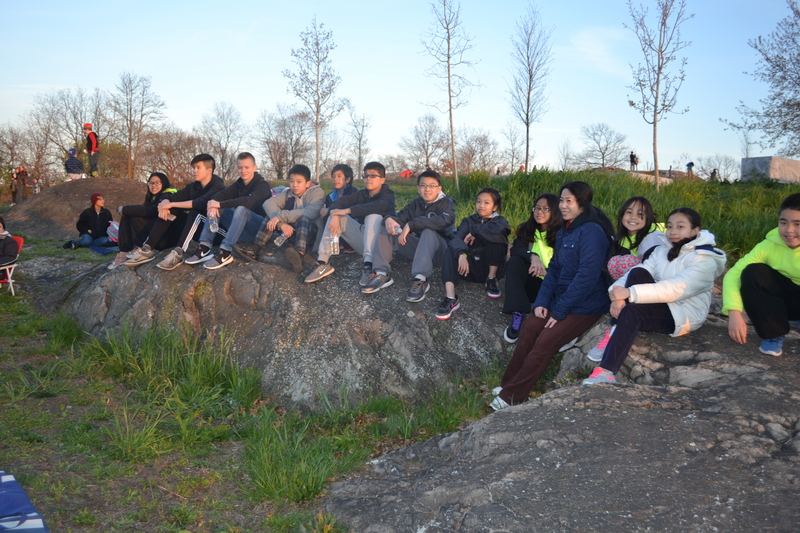 The Malden High School Interact Club volunteered their time to help at the event: Bryanna, Emily, Ryan, and Wei. Thank you to our young volunteers – your future is as bright as the stars! We appreciate the kind help and guidance from Shep Doeleman, an astrophysicist who lives in Malden and works at both MIT and Harvard. 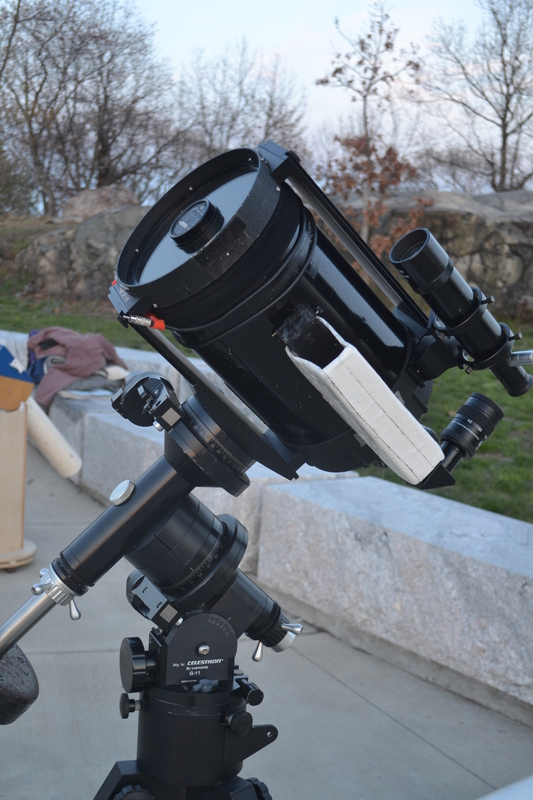 Shep connected us to the Amateur Telescope Makers of Boston (ATMoB) which helped organize our star party. 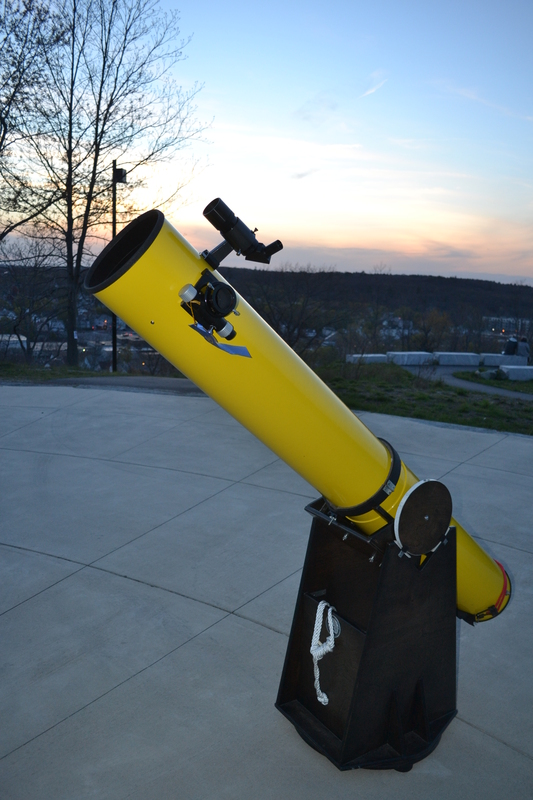 All of the telescopes at the event were brought by volunteers, who shared their enthusiasm and knowledge, and for that we are most grateful. Thank you, Virginia Renehan (our liaison at ATMoB), and volunteers Al, Bob, Paul and Phil. 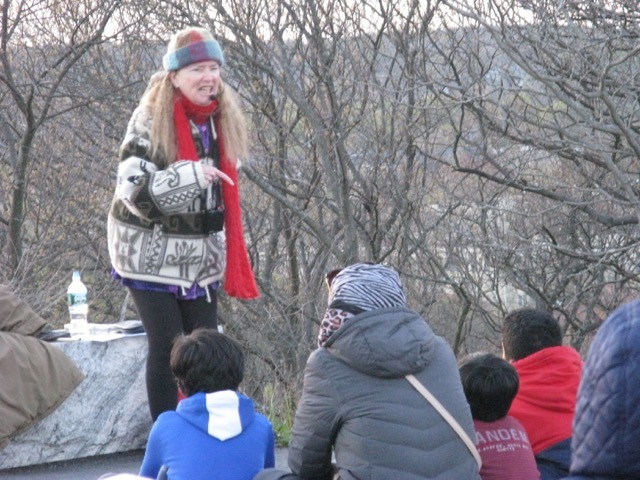 Thank you to Sharon Kennedy, who told engaging stories to families listening eagerly, while the sun set over the mountain. Thank you to all the members of the steering committee: Martha Bezzat, Sue Carr, Ron Cox, Erga Dormevil, Anne D’Urso-Rose, Caron Guigli, Chris Kosta, June Macdonald, David Stein, Karen Stern, Dora St. Martin, Jodie Zalk, and Linda Zalk. Other Malden Reads volunteers and supporters are Karen Buck, Marie Coulanges, Eda Daniel, Debbie DeMaria, Mei Hung, Nekita Lamour, Elena Martinez, Ose Schwab, and Rebecca Smith. Ron, Erga, Anne, Chris, June, Elena, David, Jodie, Linda, Mei, and Nekita provided support for the event. 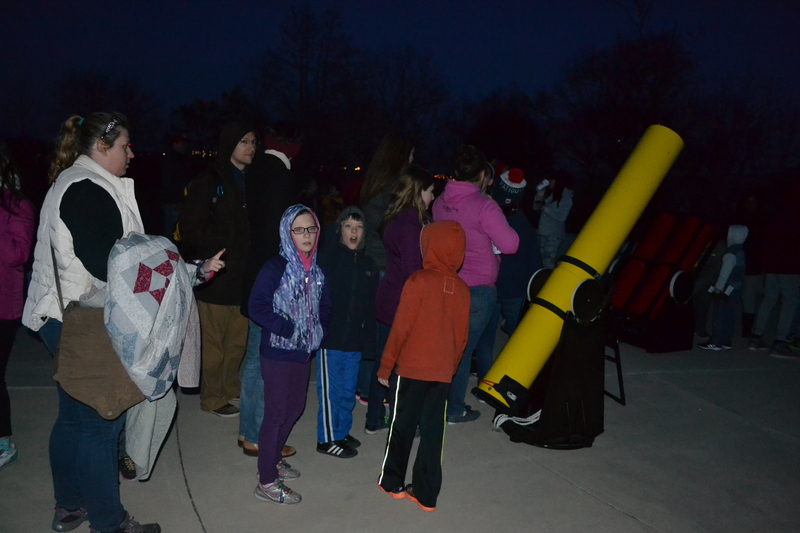 We also thank volunteer Steve Rose who helped with transportation that evening. The support of all of our volunteers is very much appreciated. We always welcome new volunteers and committee members. If you are interested in helping out with any aspect of Malden Reads in the future, email us at maldenreads@gmail.com. Malden Reads: One City, One Book is a community reading program whose mission is to promote literacy and a love of reading, and build community in the city of Malden.